Over the weekend, I got all blitzy and decided to clear out the wooden chest in the corner of our lounge. It’s always been the “I don’t know where it goes so it can go in here” place, but like a woman possessed, I decided that Sunday was the day to go through it all. I bagged up everything that was my husband’s, and he scanned through it quickly, deciding to keep everything. Whatevs. That’s his prerogative. But I got ruthless. All my old school books? In the bin. Random bits of paper with meaningless things on them? In the (recycling) bin. Old school projects? In. The. Bin. 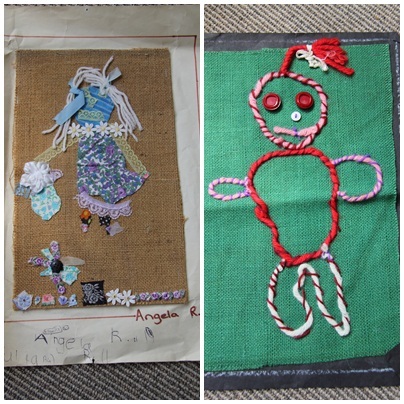 Some of my artwork from when I was little was too special to throw out, so I kept those. The pictures I could bear to part with, I photographed first, as a way of preserving it for some unknown future use. 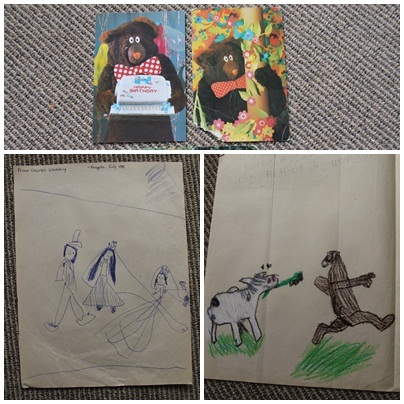 I came across a box full of old birthday cards, including ones from both sets of grandparents who have passed away, handmade ones from my brother and sister, and three very special ones from my dear friend, Cookie Bear. These, I kept. As I was doing my blitz, a part of me wondered if I shouldn’t just hold on to everything, as a way of, you know, preserving my past or something. My mother is a hoarder – not pathologically, but she doesn’t throw anything away unless it is threadbare or utterly kaput – and a child of the Depression. She saves everything for the day when it might come in handy, and I think my constant cleaning and cleansing is a way of going against this. Sure, there are times when I get ruthless, and then a few months later, wonder what I’ve done with something that I suddenly can’t live without, and then I regret my blitzing tendencies. But most of the time, I think carefully about what I’m getting rid of, I ponder it for a while and then make my decision: keep or cull. And then I act. Pow. 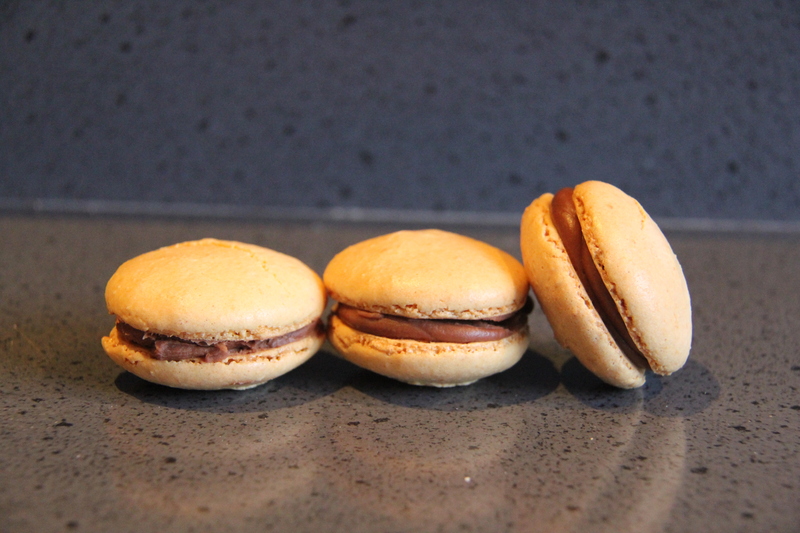 Also on Sunday, I decided it was time to try making macarons. I’d pinned this recipe ages ago, and it was finally time to give it a go. They took a lot longer to prepare than I expected. I did spend some time online checking out techniques and troubles, trying to work out exactly what my egg whites should look like when they were done. I also had trouble with my piping nozzle and the size of my pre-drawn circles, and in the end, went freehand. As the first tray baked, I saw straight away that they weren’t working. There were cracks and peaks, and no feet. NO FEET, people, no feet. 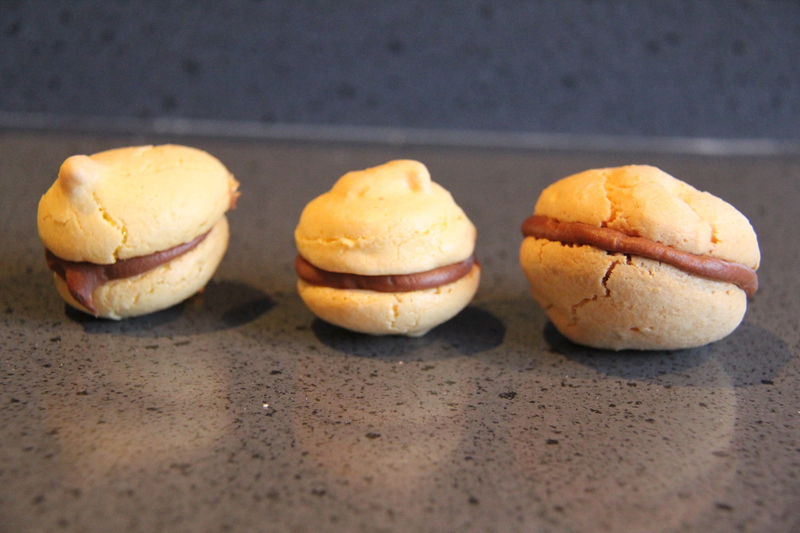 In the macaron world, this is the disaster to end all disasters. The second tray was as bad as the first, but as they came out of oven and cooled enough to be sampled, I was pleasantly surprised at how good they tasted. It was evident that I was making heavy meringues instead of macarons. The third tray were the best yet, almost good enough to be called macarons. What was different? I mixed the last of the batter a bit more, and used a different baking function on the oven (one that wicks more moisture out). Everything I read pointed towards the mixture being under-mixed, so next time (yes, I will try again), I will be sure to give an extra few stirs, just to be sure. I had issues with brownies for a while, but I’ve mastered them now, and I am determined not to let macarons beat me either. Last night, the urge to bake suddenly gripped me. It was 8pm, both boys were fast asleep, and I wanted to make something that wouldn’t have a huge baking and cooling time. Flipping through my book of tried-and-true recipes (known as ‘The Book’; only select recipes are copied or pasted – in the old-fashioned sense of the word! – into it. When I try something new from a magazine or online, I always ask Tall, “Do you think this recipe is good enough to go into ‘The Book’?”), I found a recipe for chocolate chip cookies, and decided to fancy them up a bit. These are like the “traditional” chocolate chip cookies you probably grew up with (chunky, with a tendency towards dryness if even slightly overcooked), but I’ve jazzed them up with the addition of chopped white chocolate and almonds. Before you begin, please note that this recipe requires a large bowl, and very strong willpower to stop yourself from eating all the uncooked mixture! Preheat oven to 170degC; line two baking trays with baking paper. In a large bowl, cream butter and sugars until light and fluffy. Add condensed milk and vanilla; beat well. Sift in flour and baking powder; add chocolates and nuts, and mix well (you might want to get your hands in there to bind everything together; the mixture will look quite crumbly, but it will all come together when you roll it into balls). Roll large teaspoonfuls into balls and place on prepared trays, allowing a little room for spreading. Flatten each ball with a fork. Bake for 15-20 minutes, until a pale golden brown. If you prefer a chewier chocolate chip cookies, you might want to try this recipe instead. Over the weekend I finally tried a new recipe which has always appealed, but was put into the “that looks like far too much hard work” basket. I felt like baking, and I had all the ingredients (well…almost all the ingredients, as is most often the case with me! ), and when I actually read the recipe, it didn’t seem very hard at all. And, truth be told, the idea of making my own Mint Slices sent me into a bit of a shiver. Preheat oven to 180degC. Line two oven trays with baking paper. Using electric beaters, cream butter and sugar until light and fluffy. Add sifter flours and cocoa, alternately with the milk; mix with a knife until the mixture forms a soft dough (I used my hands to bring it all together). Turn out onto a floured surface; knead for 1 minute or until smooth. Halve the dough. Roll one half between two sheets of baking paper, to 3mm thickness. Cut dough using a 4cm round cutter. 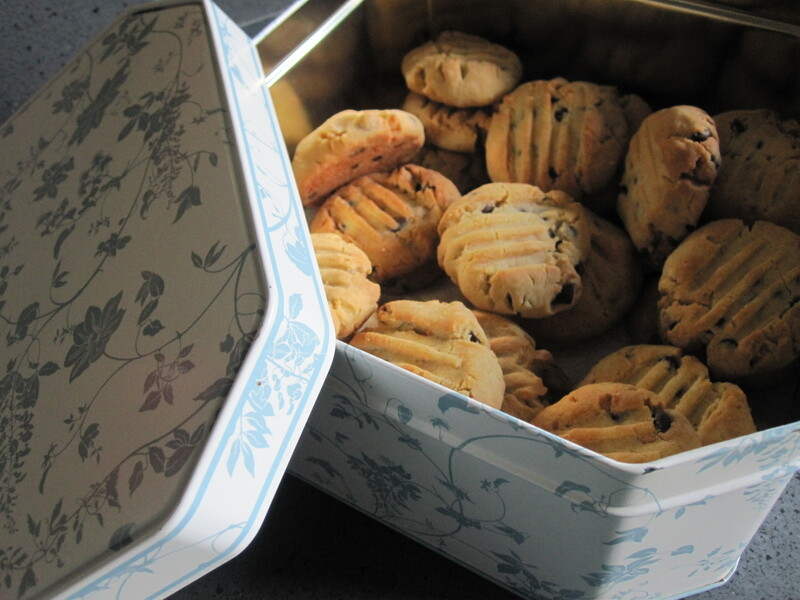 Place biscuits onto prepared trays, allowing a little room for spreading. Bake for 10 minutes; transfer to a wire rack and allow to cool completely. Repeat with the remaining dough; the scraps can be re-rolled and cut until you have an even number of biscuits. To make the peppermint cream: Place egg white in a small bowl. With electric beaters and a low speed, beat in 2T of icing sugar at a time, until you have a soft dough. Turn out onto an icing sugared surface; knead in enough icing sugar so that the dough is not sticky. Knead in peppermint essence to taste. 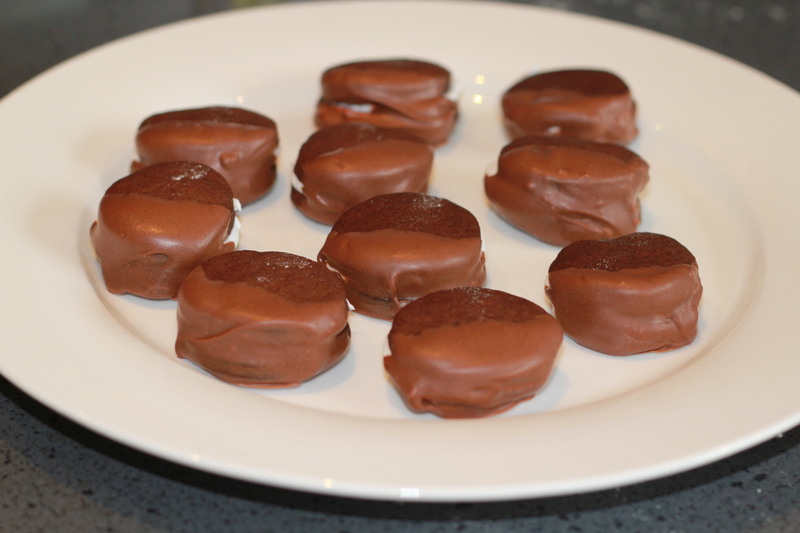 Roll teaspoons of peppermint cream into balls; flatten slightly. 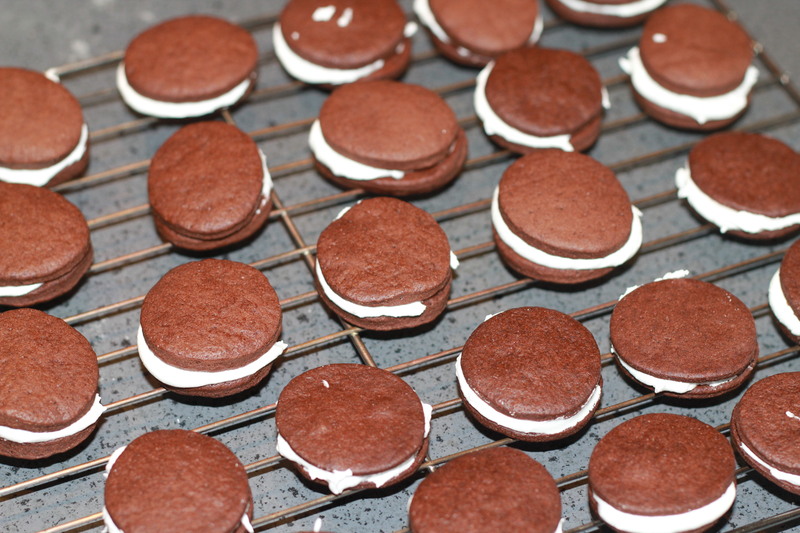 Sandwich between two chocolate biscuits, pressing together so the peppermint cream spreads to the edges. Dip the biscuits halfway into the melted chocolate; allow to set on a lined tray. ** I rolled out some of my dough a little too thin in the beginning, and ran out of icing sugar before the peppermint cream reached a truly “dough-like” texture, but it still hardened nicely, and the thinner biscuits taste just as good as the thicker ones. I also didn’t have enough dark chocolate for dipping, so used milk chocolate instead, and it worked fine.